“Thank you for the music, Sweden. Now it’s our turn.” That was the headline in the national Norwegian magazine A-Magasinet nearly a year ago, and today Norway’s music industry is reverberating more than ever around the world. The Swedes have been a pop music superpower for decades, but their neighbours are suddenly stealing the stage from California to Cologne. It’s been a big musical week in Norway, from last weekend’s annual Spellemann music industry awards to this weekend’s popular by:Larm music conference and festival. While Spellemann awards honour both long-established and new artists, by:Larm has become a launching pad for many who are still largely unknown. 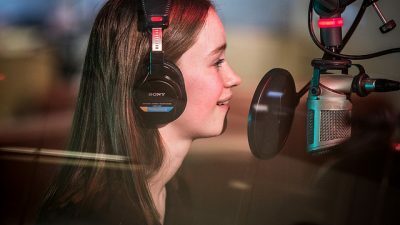 Norwegian music critics have already tipped their readers to keep an ear out for emerging voices from singers like Halie, a 17-year-old singer from Bergen, and bands like Bokassa, which is already one of Metallica drummer Lars Ulrich’s favourites. Many other Norwegian musicians, meanwhile, have made it big both at home and abroad without much help from events like by:Larm. They include the DJ and electronic dance music sensation Kygo (Kyrre Gørvell-Dahll), the duo Karpe Diem and the singing twins Marcus & Martinus. Other successful Norwegian artists with roots in by:Larm include Röyksopp, Aurora Aksnes, Sigrid Raabe, Astrid S and Susanne Sundfor. Kygo, Sigrid, Alan Walker and Aurora will soon be among artists performing this spring at the huge Coachella music festival in California in April. They’ll be in the company of Beyoncé and Eminem, among others. It’s become increasingly clear that Norwegian music has come a long way from the days of mostly putting Norwegian lyrics on American or British meoldies, and losing badly in the Eurovision Song Contest. The pain was relieved in the 1980s by the stunning success of the legendary Norwegian rock band a-ha, and they’re still doing well, but now there are so many other Norwegian musicians, producers and song writers that a-ha isn’t so exceptional any longer. The sudden success spans nearly all aspects of music, from classical to pop and black metal. Nearly 12,000 Norwegians worked in the music industry in 2015, according to Music Norway, which bills itself as the Norwegian music industry’s “export facilitator and promotional organization.” Its report, released last fall, was based on revenue from copyrights, recorded music, concerts and performance revenue. The total value of the Norwegian music industry was placed at more than USD 440 million, up 5 percent from 2014. It won’t be rivalling Norway’s oil or seafood industries any time soon, but the music industry does provide lots of jobs and creative outlets, along with international recognition for Norway. That’s why the Norwegian foreign ministry helps fund events like by:Larm and has briefed embassy employees on black metal music as a major export product (Norwegian band Kvelertak has been the opening act for the legendary Metallica on their latest concert tour, while Satyricon has been popular for years). The ministry also provides stipends for budding artists and support for the efforts of Music Norway. The numbers show steady growth, however, with industry revenues climbing from NOK 3 billion in 2012 to the NOK 3.7 billion in 2015 that amounted to the USD 440 million at the time. Since then, streaming revenues have taken off, the concert scene is bigger than ever and so is the international exposure of Norwegian artists. 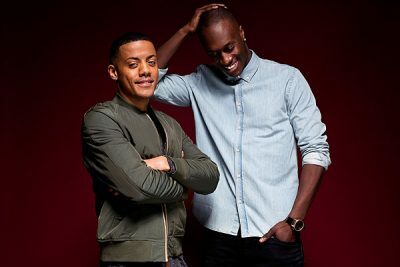 Local artists like Nico & Vinz have performed at huge events in the US, for example, and income is literally streaming in via radio, TV, cinema and streaming services. “2017 was a record year,” Cato Strøm, chief executive of TONO, told newspaper Aftenposten in December. TONO is the organization that manages performance rights and collects fees for public use of music for its composers, lyricists and publishers. Strøm said that revenues from playing Norwegian artists’ music abroad have more than doubled in the past two years. The numbers confirm that Norwegian artisits and songwriters are doing better and better abroad, both through official sales and the streaming service Spotify. TONO will pay out NOK 56 million to its members from foreign sales alone this year, up from 26 million in 2015. Some artists are even cutting out the proverbial middlemen and forming their own record companies, like Jonas Alaska, Mikhael Paskalev and Billie Van. They told newspaper Dagens Næringsliv (DN) that they think their Braveheart Records in Oslo will give them more control over their own work. Music Norway, the country’s musical equivalent of its export council for fish, has undoubtedly played a major roles in the development. DN featured the work of Music Norway’s Los Angeles-based representative Gisle Stokland in developing contacts from a base in Los Angeles for budding musicians “who want to be big in America.” Stokland claims the Amerian music industry is very keen on Norwegian music at present, and he can help with practical details from contacts to advice and legal help. 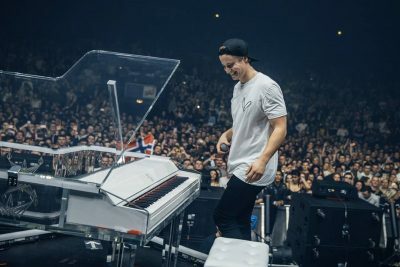 DN wrote how he escorted Kygo to his first concert in LA, often drove Astrid S to the airport and gained access to Kanye West’s studio for Marcus & Martinus. The efforts of Stokland and colleagues at Music Norway have helped Norwegian artists gain spots at festivals like Coachella, and get Sigrid’s make-up-free face up on a large billboard on Hollywood Boulevard. It may also help that Norway’s Crown Prince Haakon and his wife Crown Princess Mette-Marit, who met at a music festival in Kristiansand in the 1990s, are both extremely interested in music. Crown Prince Haakon is even attending this year’s South by Southwest music festival and conference in Texas this year in a semi-official capacity. Norwegian artists have performed at the popular industry event for several years. Do the Swedes, famous for producing huge stars like ABBA, feel threatened by Norway’s success? It doesn’t seem so. In an unusual video put together by Swedish state broadcaster SVT on the occasion of Norway’s Constitution Day celebrations last year, the Swedes congratulated their neighbour on everything from their success on the ski trails to the popularity of musicians like Kygo and Marcus & Martinus. “Norway deserves to be hailed,” SVT declared, and their colleagues at Norwegian state broadcasting NRK happily ran their congratulatory video on its nationwide national newscast.